Hi everyone, it’s Andy Gesner and the staff from HIP Video Promo, here to bring you a new clip from an artist whose originality and musicianship might just leave everything else out there looking pale by comparison. If you haven’t yet heard Joanna Newsom, allow us to offer this terrific video by way of introduction. If you do know Joanna Newsom’s music, then you also know she’s one of the most startling talents to light up the indie firmament in many years: a singer/harpist with a formidable vocabulary, an immediately identifiable vocal and instrumental style, and a knack for rich, poetic balladry and storytelling. Those who have followed her home-recordings and self-releases over the past few years have tended to treat her work like a closely-guarded secret; one too precious to spill to the public. With the release of The Milk-Eyed Mender on Drag City Records, the secret is out. The twelve-song LP is so wildly unlike any other singer-songwriter record currently in the marketplace that its San Franciscan author has become known from coast to coast. Whether performing on the upright piano (“Inflammatory Writ”) or the electric harpsichord (“Peach Plum Pear”) or her harp (most everything else here), Newsom brings the weight of considerably musical erudition to her compositions. The twenty-two year old musician and folksinger has been trained in African and Celtic harp technique, and she clearly knows her way around the Appalachian approach, too – much of The Milk-Eyed Mender plays like a field recording from the strangest, trippiest holler of the West Virginia hills. 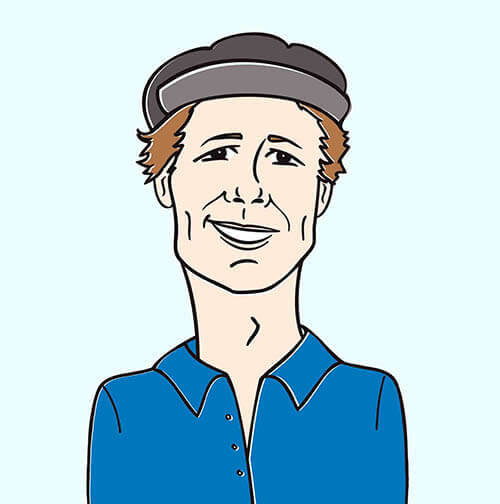 Equally comfortable spinning stories that echo the oddest voices in children’s fiction and gently philosophizing, Newsom delivers these remarkably literate songs in a wild, squeaky chirp that manages to make immediate emotional resonance. The clip for “Sprout And The Bean” reinforces both the haunted-childhood quality of Newsom’s music and its strange, stark beauty. Newsom is shot in an empty classroom, soft blue light pouring in from the windows, the camera circling slowly around her as she plays her harp. The illustrations on the blackboard spring into animation like a delicately-drawn kids’ cartoon – a chalk-drawn bird flutters between the branches of an outlined tree, a small skiff floats on a white waterfall. The choruses find Newsom in a verdant pasture (complete with a picnic that complements the imagery of the song) where she stands in the grass, or sits gamely in a tree, and addresses the camera plaintively. Objects on a high-back chair appear and disappear, as the room swings around like a centrifuge, like a clay pot on a wheel animated by the singer’s compositional sorcery. While the clip is beautifully shot, there’s nothing quite so compelling in the video as the footage of Newsom singing and playing the harp. Her left hand hops between the strings like a sparrow on a branch, as her right weaves patterns of preternatural delicacy. Her head rests next to the harp as if it’s a pillow, or a stone she’s peeking from behind – and when she opens her mouth to sing, it’s as if the strings of her instrument are vibrating through her. Here at HIP, we’re very excited to be able to bring you this video from an enormous young talent. We’re stocked up with Joanna Newsom CDs and other goodies and ready to meet any of your needs. If you need more info call Andy Gesner at 732-613-1779, or email info@HIPVideoPromo.com . You can also visit Joanna’s official site or Drag City for more info. 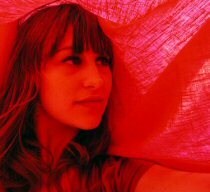 Check Joanna Newsom Tour Dates Here!